Breast milk! Breastfeeding is the best way to provide the best nutrition for any growing squishy infant of yours. Unfortunately, working moms do not have the luxury of staying at home with your child. 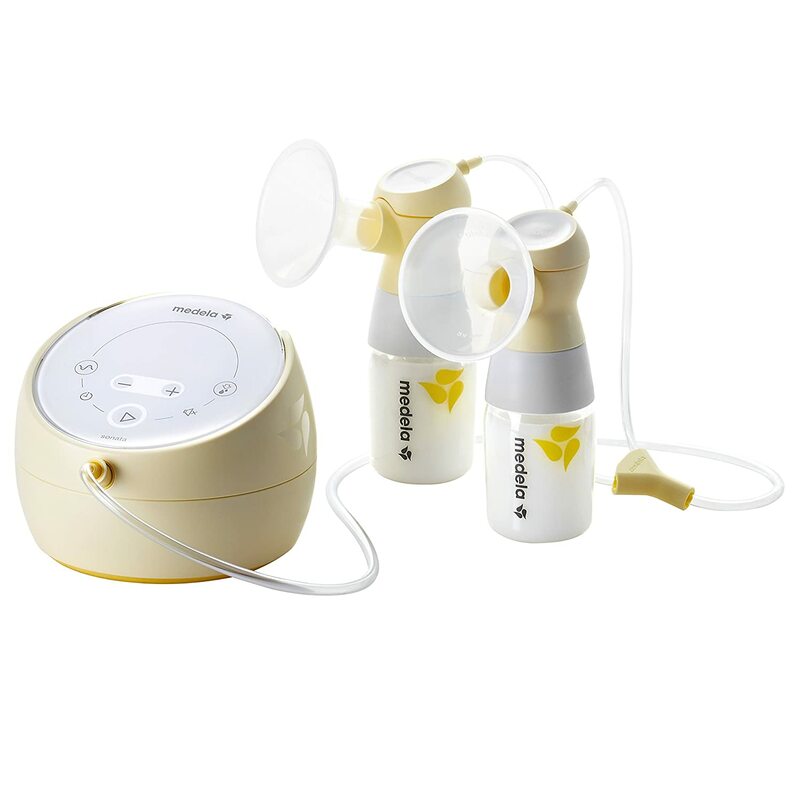 These breast pumps will ensure that your baby has all the nutrients he or she needs once you return from work. It can also help stimulate the natural flow to make the best of your milk supply! This breast pump has user-friendly features, built-in rechargeable battery, and a membrane separates the pump mechanism from the milk collection, creating a closed system. Its motor creates two different suction modes for more milk. It has a touchscreen display and control illumination for easy operation. It weighs 8.1 pounds and the battery lasts for one hour of use. it comes with Sonata breast pump with a rechargeable lithium-ion battery, a breast pump bag, a double pumping kit, set of 24 mm and 27 mm breast shields, four 5 oz. bottles with lids, and other accessories. 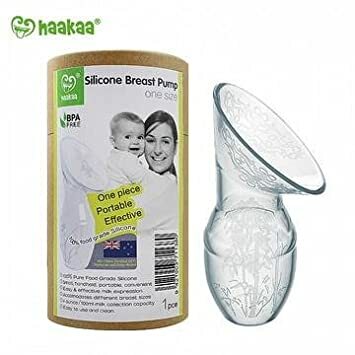 This breast pump triggers a letdown in the opposite breast when suction on one breast from a nursing baby or a single pump. It is lightweight and can be hands-free as well. It catches milk without waste in the bell below, then pours easily into another container. It can fit perfectly into any handbag or baby bag and requires no hard work. Plus, it is easy to clean with a bottle brush and dishwasher-free! This breast pump has a breast shield that comes with a 25 mm silicone liner, which some people find more comfortable than the rigid plastic. The silicone liner can also be removed if you’d like. 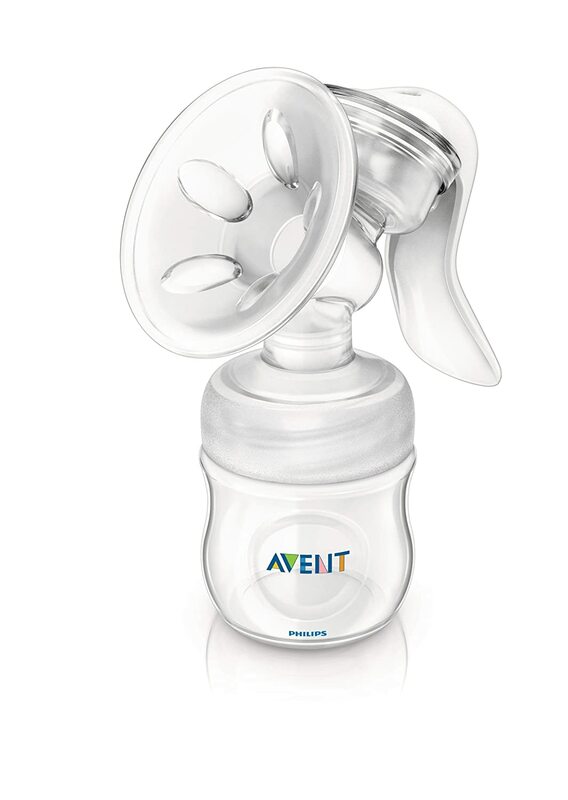 This pump allows you to sit comfortably upright as you pump, while the pump’s angled neck lets milk flow naturally from breast to bottle. Its soft textured massage cushion helps stimulate milk flow as well. Plus, it is BPA-fee! 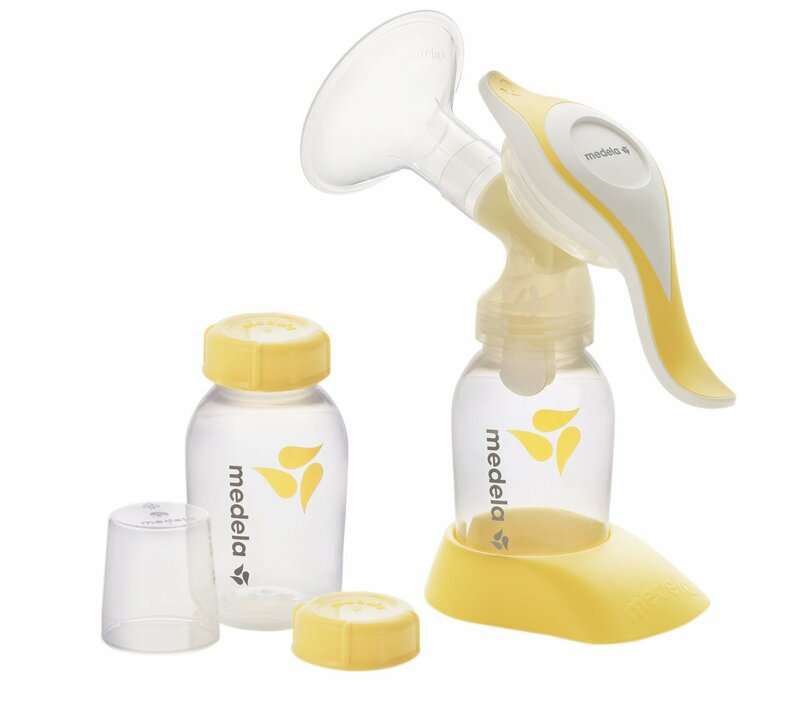 This breast pump has smooth swiveling handle which makes it easy to grip and squeeze repeatedly than other models. It is more comfortable to use for longer or more frequent pumping sessions. It comes with the standard 24 mm breast shield, as well as a single collection bottle. You can swap in other breast shield sizes, ranging from 21 mm to 36 mm. Plus, it has a 30-day warranty! 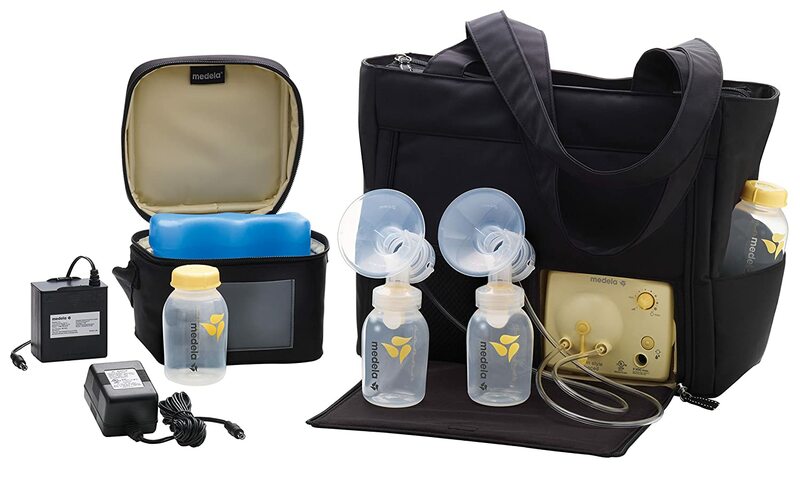 This breast pump is ideal for traveling moms with its tote bag and accessories. The good side of this pump is that its replacement parts are always available in stores across the US and around the world yet mostly available online. It offers breast shields in five different sizes from 21 mm to 36 mm. It can run on battery power or be plugged in. Plus, it has a removable cooler bag with a contoured ice pack that holds 4 breastmilk bottles! 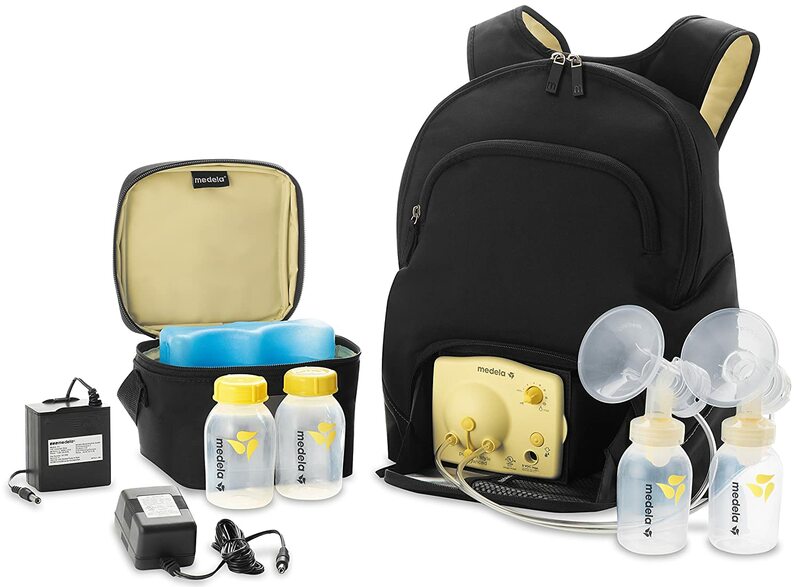 This breast pump has a backpack that is also ideal for traveling moms. 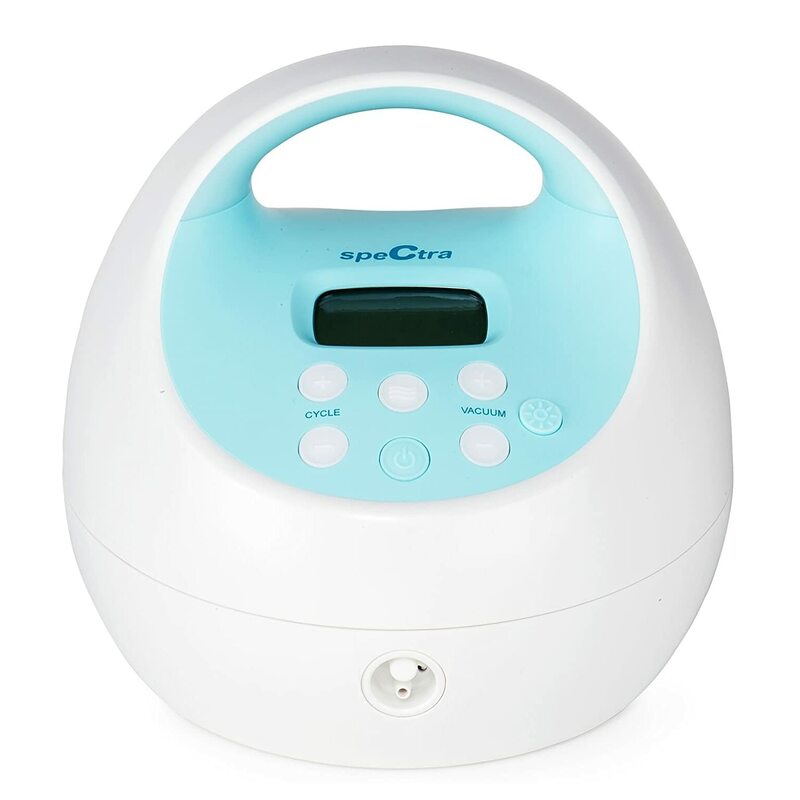 It is a double-electric powered by AC adaptor or battery pack (8 AA batteries not included) for daily use.It is designed for moms who pump several times a day. It has 2-Phase Expression technology with one-touch let-down button produces more milk in less time. Plus, all parts that touch breastmilk are BPA-free! This pump has a rechargeable battery and separate modes of suction strength and speed that made it to the top of our list for the best breast pumps you can buy. It is small and portable that weighs 3.3 pounds. It is the quietest with 28 decibels from 3 feet away. It features night-light and backlit digital readout make it easy to use in the dark without waking a baby or partner sleeping nearby. Plus, it has a two-year warranty!